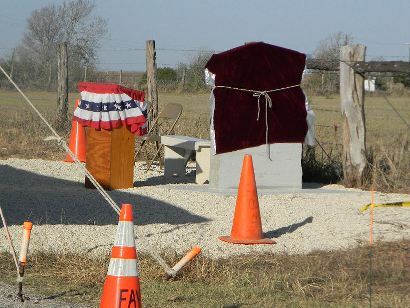 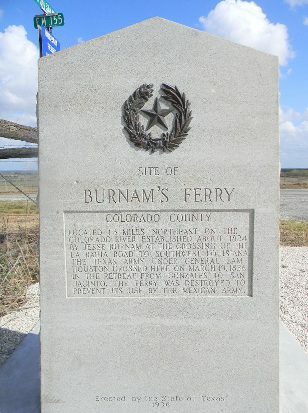 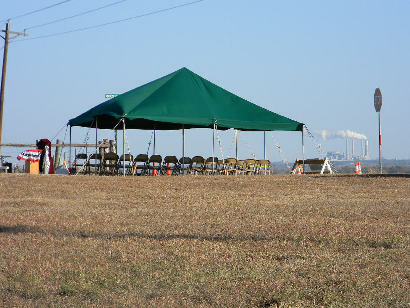 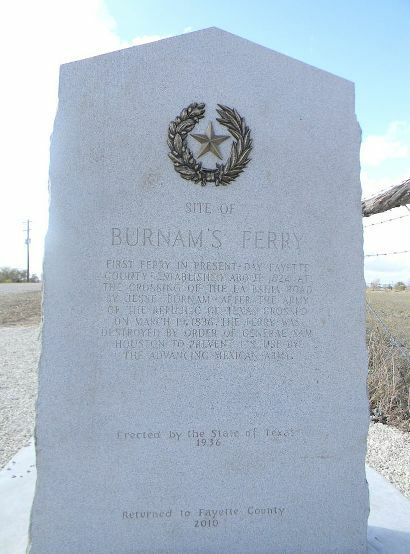 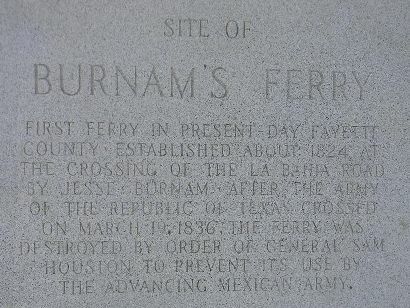 Burnam’s Ferry Centennial Marker Relocated in Fayette County Texas. 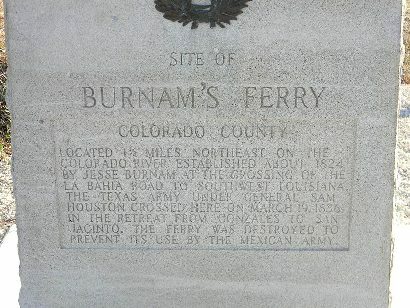 The "new" side sports a new medallion. 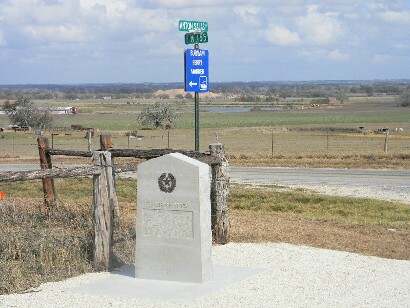 Note bottom inscription stating "Returned to Fayette County 2010"
Texas Escapes, in its purpose to preserve historic, endangered and vanishing Texas, asks that anyone wishing to share their local history, stories, and vintage/historic photos of their town/subject, please contact us.